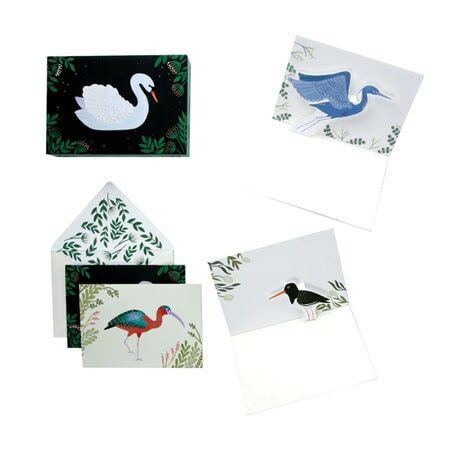 Your sweet sentiments will travel on gilded wings when you mail off these beautiful pop-up cards. 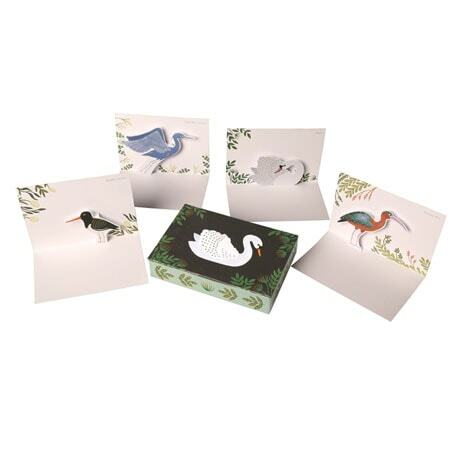 Each houses a delicate 3D avian beauty—swan, little blue heron, glossy ibis, or oystercatcher—and the 5"x3½" cards feature foil embellishments and plenty of space for jotting a heartfelt message. 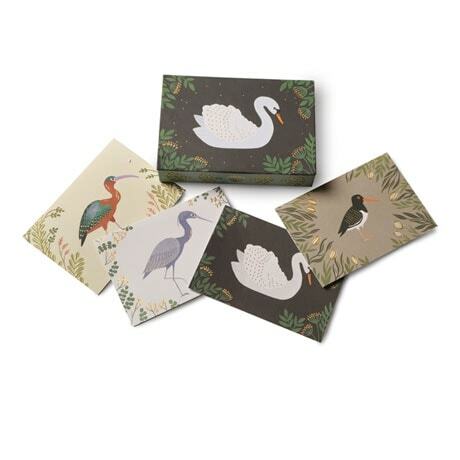 Boxed set of eight cards (two each of four designs), with white envelopes.